DGEFCU opened in 1954 and currently has 11,232 members and assets of $41 million. Traditionally an employer-based credit union, DGEFCU acquired a community charter intended on serving the Latino population in Washington, D.C. Carla Decker, the credit union's President, advanced DGEFCU's mission through ACCESO, an innovative collaborative which link multiple credit unions to create wealth building opportunities for the local immigrant and under-served community. 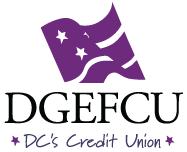 DGEFCU's commitment to its membership is reflected by the fact that it has 351 members per employee (national average is 455 members per employee).